I am an art director and designer. I have been in the field of design for 21 years. My experience includes a broad range of design skills including graphic design, vector illustration, pattern design, surface design, photo editing, print media, and web design. I also studied art history, drawing and have experience in interior design. DIY Project: How to add Style to your noteboard with a stencil! 24 Painted Floors to Inspire | Babble. 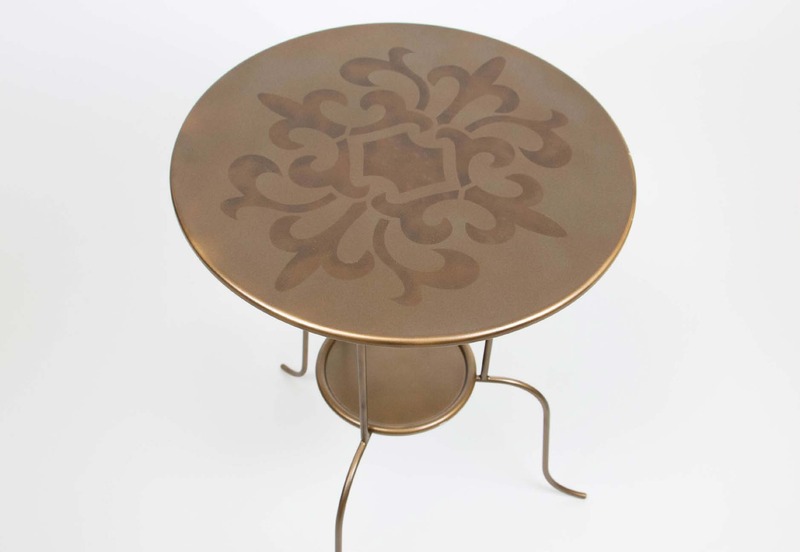 Enter to win SOLM Designs Parisian Medallion Large Format Stencil used in a Stencil Ease Project! CLICK HERE TO ENTER TO WIN THE SWEEPSTAKES AND GET ALL OF THE MATERIALS FOR THIS PROJECT! CLICK HERE to see the full project video! The original bland white table is 19.99 at IKEA! project and used the Parisian Medallion Stencil by SOLM Designer, Stephanie Olmstead.